Most drivers take their windshield wipers for granted. Even on snowy or rainy days, these automotive components generally go unnoticed until they begin to deteriorate. The first automobiles, however, had no means for clearing precipitation from windshields; many lacked roofs and were open to the air, wind and weather. If auto glass became obscured by rain or snow, drivers had to use their hands or rags to remove the moisture and restore visibility. As a result, these early cars were mostly used for transport on clear days. The development and evolution of the windshield wiper allowed improved visibility for drivers and greater utility for later motor vehicles. Most automotive experts credit Mary Anderson with the development of the first manual windshield wiper. A resident of New York City, Anderson was inspired to create her window cleaning device by observing the plight of a trolley driver. Even in light rain, the driver had to clear the window manually over and over to ensure a clear line of sight ahead. Anderson patented her hand-operated windshield wiper in 1903 to allow operation from inside vehicles. Her patent remained in effect until 1920; by 1916, all U.S. automakers had incorporated this useful device into their vehicle designs. Similar issues were experienced in other parts of the world. James Apjohn patented a similar device in the U.K. in 1903; his windshield wiper used a brush to clear away rain and was well-suited to clear snow as well as rain. Gladstone Adams patented a similar device in 1911 after experiencing heavy snow on the way back home from the 1908 FA Cup final. By 1920, the windshield wiper was considered essential equipment for motor vehicles worldwide. Charlotte Bridgewood patented a device known as the Storm Windshield Cleaner in 1917. This automatic windshield wiping device eliminated the need for reaching outside the vehicle while driving; however, its roller-based design proved less than popular with both manufacturers and with drivers. Fred and William Folberth invented a more successful design in 1919 and patented it in 1921. The new wiper used air from the engine to power its operation. Unfortunately, this led to erratic performance because the wiper sped up with increased velocity and slowed or stopped as the vehicle slowed. 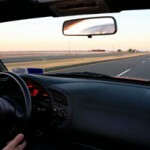 Later enhancements allowed the electrical current generated by the vehicle to power the windshield wipers to ensure reliable and consistent visibility for drivers. In 1967, Robert Kearns patented the first intermittent wipers. Prior to that time, Kearns had demonstrated his invention to decision-makers at Ford Motor Company, General Motors and Chrysler Corporation. All three major automakers rejected his sales pitch. By 1969, nonetheless, these manufacturers began installing intermittent wipers that strongly resembled those invented by Kearns years earlier. Kearns sued Chrysler and Ford for patent infringement. Ford settled the case for over $10 million; Chrysler lost the case in court and was ordered to pay $18.6 million in damages. Intermittent windshield wipers continue to be used in motor vehicles to the present day. Today, windshield wipers have evolved to meet the needs of drivers in real-world conditions. Some luxury vehicles include headlight wipers to prevent the buildup of snow or rain on these safety components. Rain-sensing wipers were first implemented in the 1990s and are available as an option on many cars and trucks currently sold in the U.S. Researchers are also investigating the use of ultrasonic fields to repel rain and snow, effectively preventing these precipitants from reaching windshields and obscuring vision for drivers. 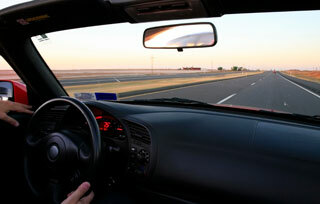 At Apple Glass, we specialize in repairing and replacing auto glass for Houston residents. Our trained technicians can travel to your location to provide the most reliable windshield replacement in Houston; alternatively, you can bring your vehicle in to one of our two conveniently located brick-and-mortar shops. Apple Glass is a registered member of the Auto Glass Safety Council and maintains the highest standards of technical proficiency and service in the industry. Contact us today to discuss your auto glass repair or replacement needs with one of our friendly and knowledgeable staff. We look forward to the chance to serve you. This entry was posted in Windshield Wipers and tagged Auto Glass, Auto Glass Houston, Windshield Replacement Houston. Bookmark the permalink.